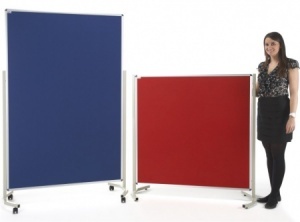 Available in 3 popular sizes the Deluxe Freestanding Blazemaster is a durable aluminium framed freestanding notice board designed for internal use. 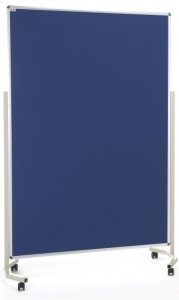 The sturdy aluminium frame has an anodised aluminium satin silver finish with tough nylon corners. 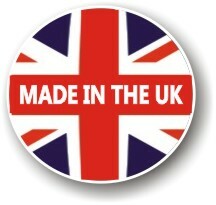 The woven fabric used is available in 9 standard colours and is Fire Retardant to BS 5867 Part 2 and BS 467 Part 7 Class1. As standard the Deluxe comes with static feet but locking castors with button feet are available on request. 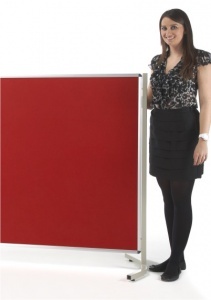 The frame and legs of the Deluxe freestanding notice board are a powder coated white finish. To ensure stability a stabilising bar links both legs at the bottom. The heavy duty legs have angled feet to minimise any potential trip hazard. 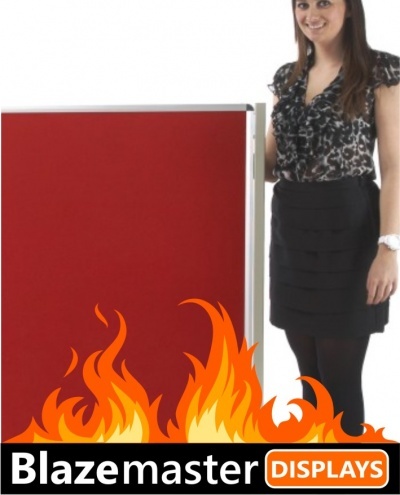 Blazemaster: Where fire safety is your ultimate concern our Blazemaster ranges of fire certified noticeboards are the ultimate product. 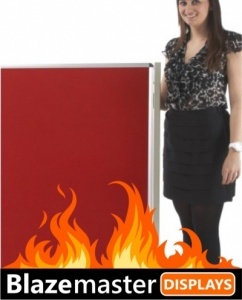 These noticeboards are covered with a fire rated woven fabric. The complete products is certified to EN 13501 Class B and therefore be used in all locations that previously required British Standard and Building Regulation classifications of Class 1 and Class 0.